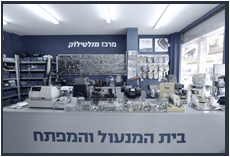 Beit Hamanul Vehamafte'ah is a second generation family business of locksmith experts. 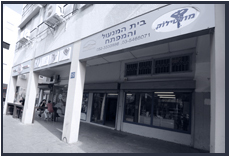 The company was established by Ezra Zalicha 3 decades ago, and is today run by his son Eldad Zalicha, an experienced professional in the field. Opening locks, doors and vehicles. A range of Mul-T-Lock products (authorized dealer). Sale and changing of locks. Duplicating all types of keys. 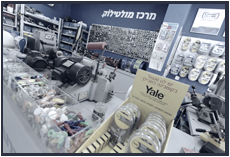 Beit Hamanul Vehamafte'ah, a member of the Israel Locksmiths Association, provides service to all sectors of customers: stores and businesses, municipalities and institutions, private customers and others. We offer our customers professional locksmith services, 24 hours a day, 7 days a week (beyond regular hours of operation). The staff at Beit Hamanul Vehamafte'ah.